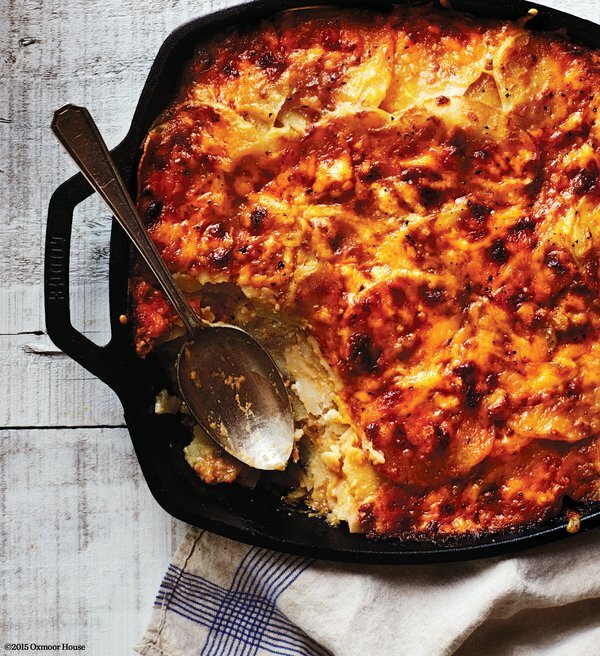 When the weather turns cold, nothing hits the spot quite like freshly made au gratin potatoes. If you’re interested in making this popular comfort food-style dish, then please try our au gratin recipe. This particular dish features a tasty blend of porter beer, cheddar cheese and baked potatoes. It makes eight servings, and it works well as either an entrée or a side dish. After you’ve tried the recipe, if you think your friends and family might like it, then consider sharing it with them on Facebook, Instagram, Pinterest and Twitter. The ingredients required for this au gratin potatoes recipe are fairly basic—you’ll need three medium baking potatoes, Cabot Unsalted Butter, fresh thyme, an onion (freshly chopped), three tablespoons of King Arthur Unbleached all-purpose flour, salt, milk, freshly ground black pepper and eight ounces of Cabot Sharp Cheddar. Lastly, you’ll also need a half-cup of dark beer. A stout or a dark porter should work fairly well. When preparing the dish, remember to arrange the sliced potatoes in a slightly overlapping pattern—basically, once you prepare the cheese and porter sauce, you’re going to pour everything over the potatoes, and then pop the entire mixture back into the oven to bake for another 45 minutes. Interested in trying another gratin-style dish? Then give our recipe for winter squash gratin a try—it features a healthy helping of delicious winter squash, so you know it won’t lack in flavor at all. 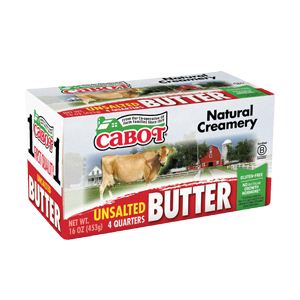 Here at Cabot, we work hard every day to create our award-winning dairy products. We understand just how important it is to only serve the best to your friends and family at meal time, which is why we’re committed to making our cheeses using only the highest quality ingredients available. We hope you enjoyed our au gratin potatoes recipe. If you’d like to rate and review the dish, please feel free to do so. PREHEAT oven to 375°F. Lightly grease an 11- x 7-inch baking dish with cooking spray. Arrange potato slices, slightly overlapping, in prepared dish. REMOVE pan from heat. Stir in pepper and 1 ½ cups cheese. Pour cheese sauce evenly over potato slices. Cover and bake 45 minutes or until potato is tender. Top with remaining ½ cup cheese. Bake, uncovered, 5 more minutes or until cheese is melted and bubbling. 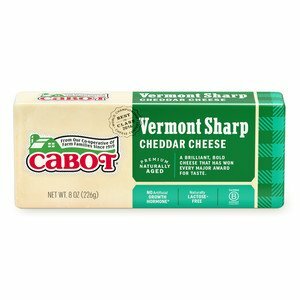 Recipe courtesy of Echo Farm, Hinsdale, NH, one of the 1,200 farm families who own Cabot Creamery Cooperative. We made these the other night, and really, really enjoyed them. 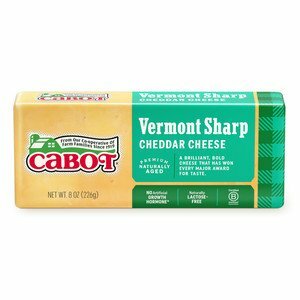 I used regular Cabot Extra Sharp in the sauce, and on top, I sprinkled some of Cabot's Alpine Cheddar, which I LOVE because of its nutty quality. Used a Porter, because that's what I had, instead of a Stout, which worked fine. Absolutely delicious! I added another two spuds and it was still cheesy and moist. Will certainly make again! These are incredible! I used four potatoes rather than three and stuck them under the broiler on low for about two minutes at the very end. Will be my ONLY scalloped potato recipe from now on!